Visit shops in Sakhmet to get a popup asking if you are from Qasala. Not before the events in the Lost Desert take off, but before the story winds up. New update brings Site Theme, Plot Comic, Achievements. Popups messages in Sakhmet City have been taken down. The Ruins of Thanyros have been taken off the Lost Desert Map again! Ruins of Thanyros is open and it is a maze game. Link on Page 13 of dialogue. Keeping Up with the Xendriks Achievement Available after reading page 14. Welcome, friend. It's getting so cramped in here for my petpets. It would be great if you could take one. Oh, hang on! I have to ask you first, are you from Qasala? Then I am afraid I can’t let you in. Lovely! Take a look around. Isn't it a rather sweltering day? You look like you could do with a Pyracone. Here, I have just the flav- Wait a sec; I haven't seen you around before. Are you from here? Answer this question first: How much does a card from the Lost Desert Scratch Card Kiosk cost? Wrong! Don't hold up the line. I only serve the good folks of my city. Next, please! Absolutely! Come on in. Get in the shade. I have a huge variety of coolers to choose from. What can I do for you today, dear friend? I say ‘friend’ assuming you are not from Qasala. Tell me, how much do my famous Basketweave Vases cost a piece? If you are from the city, you should know. Wrong! My wares once belonged in the private collection of Coltzan himself. Surely, you don't expect me to allow access to just about anybody. Sorry! Perfect. The finest pottery and earthenware collection in the land is here for your perusal. Rare and exotic, these weapons will blow you away. But before you peep in, I need to be sure you are not a Qasalan native. Your papers, please! Traitor! You cannot be allowed in on our battle secrets. Return to where you came from! Great! Don't mind me, buddy. Desperate times call for extra safety measures. I hate to do this but I need to ask you, are you from Qasala? Oh dear! I am meant to turn you down but go ahead and look around anyway. Make sure the guards aren't watching! Please go ahead and peruse the items here. I am sure you will find your cure. The wisdom of our ancestors is contained upon these scrolls. But before you lay your hands on them, tell me, where are you from? Ancient wisdom cannot be passed on to just about anyone. I am sorry; I will have to refuse you. Then the wisdom will be in the right hands with you. Go ahead, take a look. Last edited by Daze on Mon Mar 11, 2019 1:42 pm, edited 28 times in total. I'm worried I'll miss the start of our participatory activity. I can only check in about once a day, and sometimes I only have a few minutes. "I'm worried I'll miss the start of our participatory activity. I can only check in about once a day, and sometimes I only have a few minutes. An answer in the Editorial suggests that Morgon (Brightvale Event) might have something to do with this event also. If this is the case, then JS has been doing some serious forward-thinking on these events. The urls on the Lost Desert Daily refer to missing heirlooms. So I wonder if they accidentally went missing due to Morgon? (Probably way off, but this is my theory contribution). I mean, not that I'm complaining at all. More just confused. I'm all for more events/plots/plevents. The progression of Neopets is further forcing me away from Opera 12, my "dedicated" Neopets browser of choice. Best browser ever. Sadly, not updated for half a decade and cannot handle all of the 'new' stuff. Well, dang. I didn't see that it started yesterday. *sigh* They really should give a full day+. I did my dailies in the morning. Oh, wait... Am I good? Is only the "join the journey" achievement attainable now? If so, phew. Yep, only the first achievement is available, so you should be fine. As per usual, TNT are doling this event out in bits and pieces, as if they are working on it as they go along. There is still no official title, although the comic suggests, "Lyra and the Lost Heirloom". EDIT: Update with Page 2 of comic. Seems like we're getting semi-regular updates, actually. O.o Two newspaper articles, a Neopedia article, the mansion page itself, and now two "comic" updates. Definitely not complaining! Update to the comic today with Chapter 2. Nothing to do yet. Edit: 30th Nov Update to comic and a new area in the Lost Desert. Ruins of Thanyros is named but leads to a 404 page at the moment. The prize shop and its contents are now open for your perusal. Take a look around, you are bound to spot a thing or two (or more) that you fancy! You can’t have them just yet but you can sure set your eyes on the ones you’d like to grab the moment the shop is open for business. Happy browsing! They've reached the top of that old shabby wall, but it's what awaits them at the top that will surprise them… Also there appears to be a new prize shop preview take a look around and see if anything strikes your fancy. You can't have them just yet but you can start making a nice wish list. 12/4/2018: There's another new Lost Desert Daily snippet up today! It seems we are getting closer to a proper step soon going by the comic. Psst. There are already 5 chapters up. I do have to say I find having to click the arrows for every single line of dialogue annoying (especially because they move around on the screen - if they were in the same spot every time, it'd be fine). Also, I would love a puzzly challenge to help Aurrick steal whatever it is. I find it annoying as well to keep clicking next. There really is no reason for it. I don't actually read the dialogue until after I have been through it all first (just in case there is an activity to do). I also think that we will get to help Aurrick do whatever he has to do. A puzzle will be great, as I am sure we will get to battle later on. 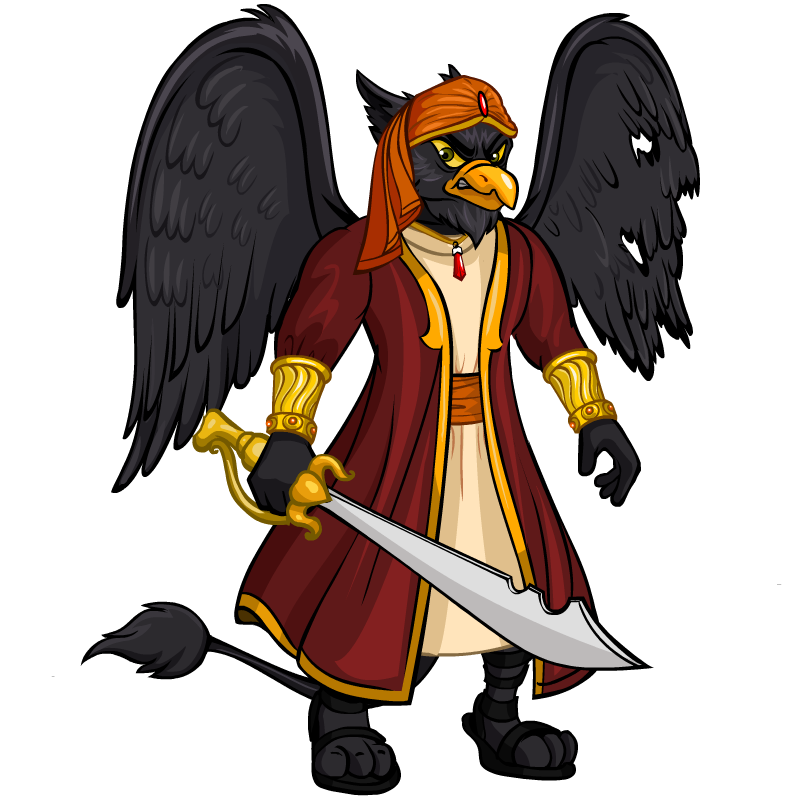 Lyra is the daughter of Aymas Xendrik, the current Warden of the Lost Desert and the protagonist of this event. I have read and re-read the comic and both neopedia articles but nothing is sinking in with how it is all working out. Oh, haha, I just assumed each page was a chapter. I didn't realize. Sorry!